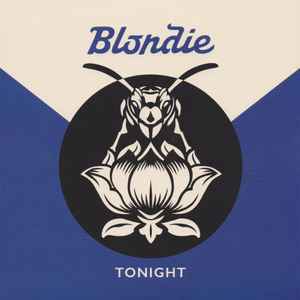 I 'caved in' and bought the ltd edition, single-sided "Tonight" single, with "Blondie" etched on the other side. I'm glad I did, it's a good track and completes the box set of singles nicely. The sleeve for the "Tonight" single is a few mms shorter on both sides as it doesn't have an inner sleeve like the other singles which come with the box. The bonus single fits snugly into the box and is not tight. A note about the inner sleeves of the box set singles, it's just another point towards the high production of these 'singles'. I wish all current singles were produced to this high standard. In the current 'vinyl frenzy', 7" vinyl singles are being sold at the highest price ever (I think? ): £5 - 7.99 and upwards even. High production quality and attention to design should match the prices. The box set singles also do not have barcodes on their sleeves - the small barcode is on the box itself. This release didn't come with a postcard, the postcards were on sale at the pop-up store in Camden for £1 each. Available from the following store for $11.99, still showing in stock. Hidden track on the new album, featuring Laurie Anderson and co-written with Charli XCX. Limited one sided etched 7" only available at the Blondie Pop-Up Store (now closed) in Camden Market London. Great track.